The truth about transportation is less than kind for those over the age of 65. 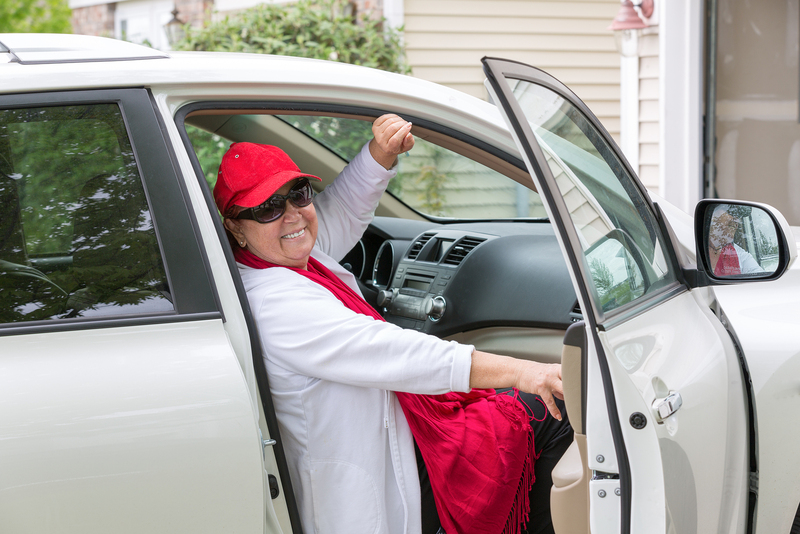 According to the Centers for Disease Control and Prevention, 586 seniors suffer automotive injuries each day. This translates to more than 214,000 total yearly collisions (and more than 5,000 total fatalities). The open road serves as the ultimate symbol of independence, allowing seniors to maintain control and dictate their own schedules. The ability to drive, however, too often fades with age – with limited physical or cognitive functions interfering with basic acceleration, stoppage, and more. There comes a time when men and women must slip into the passenger seat. When exactly is that time, though? The purr of the engine may prove appealing – but it’s not always safe. Seniors must instead examine themselves carefully, identifying potential impairments. According to the United States Census, approximately 40% of the senior population suffers from (at least) one form of physical disability – such as arthritis, ambulatory difficulties, and weakened muscles. These directly impact the ability to respond to changing traffic conditions. It’s crucial, therefore, to consult with a physician and understand the extent of each mobility issue. Note flexibility, strength, and reflexes. The American Foundation for the Blind reports that those between the ages of 65 and 74 experience a 12.2% increase in vision loss (while those 75 and over experience a 15.2% increase). Impacted acuity – including weakened depth perception, glaucoma, and macular degeneration – drastically affects the ability to drive. Seniors must undergo regular eye testing. While there is no national standard for visual performance, the AMA Journal of Ethnics notes that several states follow a 20/40 ratio per eye. Consult with the DMV to verify specific requirements. The Alzheimer’s Association notes that mild cognitive impairments (MCIs) are common among seniors, with 10% to 20% of the total population affected. This leads to an inability to complete simple functions, an inability to recall information, and elevated mood swings (with depression and anger experienced more frequently). The mental and emotional health of each individual may be compromised – which greatly increases the chance for an automotive injury. Seniors should consult with a physician to identify potential MCIs. The American Society of Consultant Pharmacists reports that nearly 92% of the senior population has at least one chronic condition. Of these conditions, 40% will require long-term medication – and with every prescription comes a series of side-effects, each interrupting logic skills and slowing reaction times. According to the National Council of Alcoholism and Drug Dependence, 18% of those involved in fatal automotive crashes test positive for the presence of drugs (whether OTC or prescribed). Seniors must recognize the dangers of driving while medicated and be aware of all possible side effects. Driving is a thrill. It’s also, however, a potential danger – and seniors must understand the risks they take when sliding behind the wheel. Examine physical impairments, visual restrictions, cognitive impairments, and medications to determine whether alternative transportation is needed.